With over 400 awards and positive reviews worldwide in less than two years, BitFenix has quickly become one of the premier designers of PC hardware and accessories. Today, BitFenix is proud to welcome the world to visit us at Computex Taipei 2012. Held from June 5 to June 9, Computex Taipei is Asia's largest technology tradeshow, and at Booth J1318 at the Nangang Exhibition Hall, the very latest in BitFenix gear will be on display. For our partners and media, our VIP Center will also be available on the 6th Floor (627). "Now in our second year of operation, the growth we've experienced and the feedback from the community has been nothing short of phenomenal," says David Jarlestedt, BitFenix Product Manager. "With a full line up of products and some exciting new surprises at this year's Computex, the BitFenix booth is one that showgoers will not want to miss!" 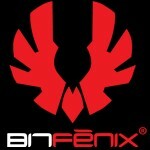 From the legendary Colossus, to the striking Shinobi, BitFenix has turned the world of hardware design on its head. In addition to our classic case models, visitors will get to see our latest designs first hand, including the enthusiast-class mini-ITX Prodigy to the stealthy Ghost mid-tower. All-new materials and surface treatments coupled with signature BitFenix modern and stylish design guarantee that these two new cases are not to be missed. The days of the beige box are far behind us. Users want their PC to express their own personal style – a thing of beauty that becomes a part of their computing environment. At Computex 2012, showgoers will get to see the multitude of ways to make their PC their own, including different case color options and case customization accessories, and our famous Alchemy Cables and LED Strips. With BitFenix, the only limit is your own imagination. When it comes to their PC, users want to be in total control, and at Computex 2012, BitFenix will be demoing an entire new series of fan controllers, including the internet-connected Recon and the LED-light controlling Hydra Pro. To help users control temperatures even further, BitFenix will also show just how watercooling-friendly our cases can be. Last but not least, BitFenix will be showing off an entirely new product line at Computex 2012 – a lineup of PC headsets featuring studio-grade audio. We've partnered with an audio pioneer with 30 years experience in professional audio to bring forth a PC headset that combines superior sound quality with the signature clean and modern BitFenix design philosophy. The result is a headset that looks as good as it sounds – one that users will be bringing with them and enjoying - even on the go! This unveiling will be reserved for trusted partners and media at our VIP center, so to see it in person, be sure to make an appointment with your BitFenix representative. Spots are limited, so act today! Visit BitFenix at Computex Taipei 2012 from June 5th to June 9th, 2012 at Booth J1318.